Being overweight or obese leads to clinically meaningful increases in the rate of cognitive decline in association with changes in inflammatory markers in the blood, a new analysis of longitudinal data suggests. 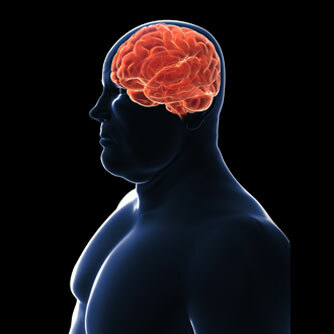 The results, which indicate that an increased body mass index (BMI) may accelerate cognitive decline by several months via increases in serum C-reactive protein (CRP) levels, may help explain those of previous studies that link obesity with poorer brain health. The findings provide a clear and integrative account of how BMI is associated with cognitive decline through systemic inflammation. Of course, correlation does not equal causation. The findings suggest a mechanistic pathway, but we cannot confirm causality until we reduce body mass experimentally, then examine the downstream effects on inflammation and cognition. An Australian analysis of adults in their 60s indicated that being overweight or obese was associated with smaller hippocampal volume at baseline and greater hippocampal atrophy over 8 years. Another recent study suggested that in obese individuals, white matter volume was significantly smaller than in persons who were lean, although this was not tied to a decrease in cognitive function.